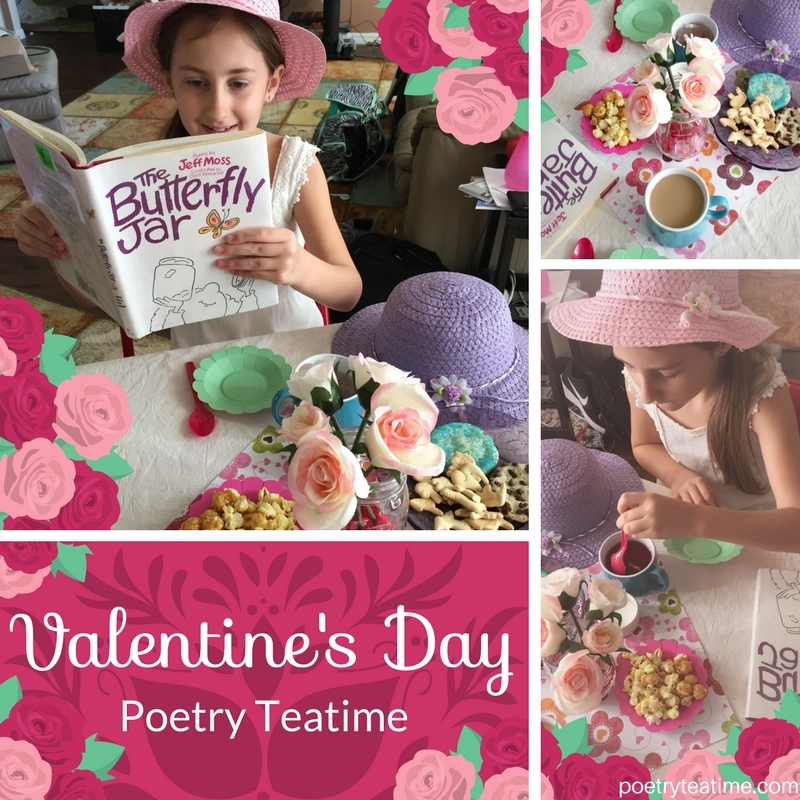 We had a poetry pre-Valentine's Day tea time. We read poems from The Butterfly Jar by Jeffrey Moss and Where the Sidewalk Ends by Shel Silverstein. Sounds fun, Amy! 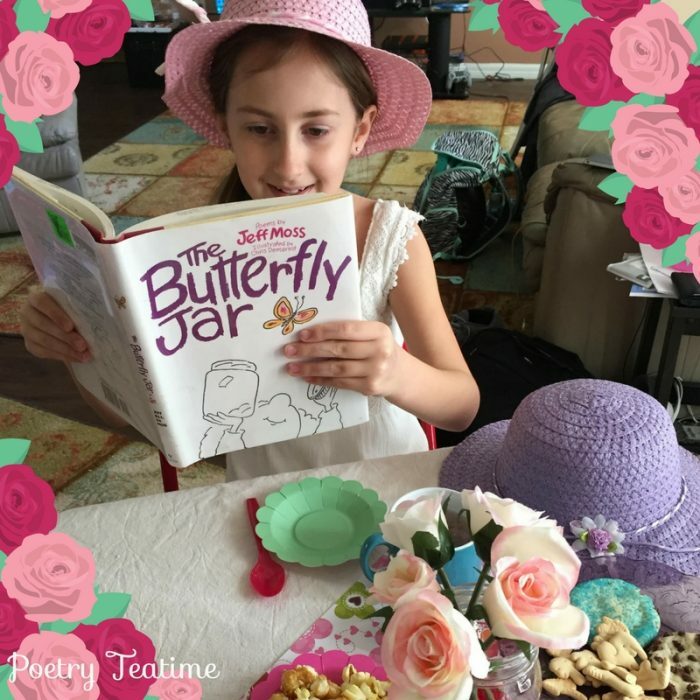 The Butterfly Jar is a whimsical collection of poems by one of the creators of Sesame Street. Its lighthearted illustrations and poems pair perfectly with Shel Silverstein's hilarious and sweet poetry. My daughter started her own book of poetry and looks forward to our tea times. Such an amazing way to incorporate poetry in a child's life. What a great activity! If you need a few poetry ideas to get started on your own book of poetry, check out this list of poetry prompts for kids from Write Shop. Thanks for sharing, Amy! 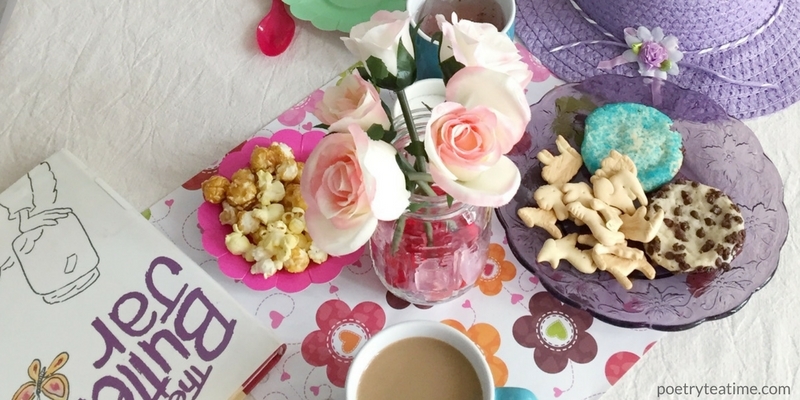 For even more Valentine's teatime fun, check out this Valentine's-themed Poetry Teatime. And be sure to submit your own Poetry Teatimes here for a chance to be featured on the blog!